Ten Ton Hammer | Heroes of the Storm: Is The Meta Stagnant? Heroes of the Storm: Is The Meta Stagnant? 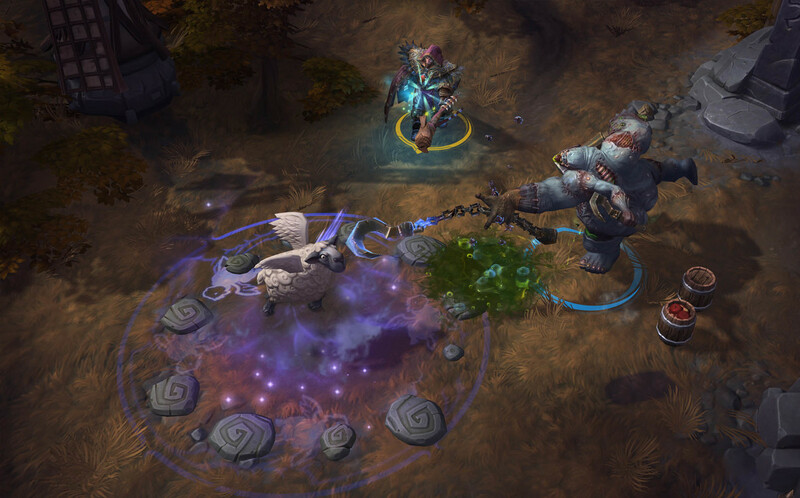 Heroes of the Storm sees few updates and what does arrive changes very little. Is it time to shake things up? One could easily argue that Heroes of the Storm has never been better. It's now highly polished, most Heroes have new artwork for their skills, it's received tons of bug fixes, there’s a new ladder system and the set of Heroes that have been released are all excellent. While all Heroes to some degree could do with improvements to their kit or talents, by and large the balance of Heroes of the Storm is pretty stable and has been for some time. Unfortunately that’s also a large part of the problem. Part of the reason why MOBA’s remain interesting is because of the introduction of Heroes and the constant shifting of the meta. Balance passes that adjust items, skills or talents are key to disrupting the meta and in many ways, are entirely intentional. Tweaks here and there are designed to boost or reduce the potency of one thing so that others can prosper and yet Heroes of the Storm is stagnating. The introduction of Chromie and Medivh were intended to shake things up (arguably Medivh more than Chromie) and yet very little, if anything has changed. The same batch of Heroes continue to reign supreme and Medivh has fallen short when raw healing power still excels. There’s no mistaking that Medivh has a fun and flexible kit and in a team environment he can be incredibly strong. Unfortunately and due to so little change when it comes to the strength of say, Kael’thas, Li-Ming or Thrall, he isn’t as valuable as he could be. In defence of Medivh, he is but one Hero amongst many and his introduction alone can only go so far in altering the existing landscape. Like many Heroes that have arrived in the Nexus, their impact is short-lived and with the exception of Li-Ming and Xul, most slip comfortably into the meta without as much as a ripple. Unless a Hero arrives drastically over-tuned (as was the case with Xul and Li-Ming) or with a kit that’s unique enough to overshadow those with a similar role (Greymane versus Thrall) it’s all remains very status quo. Part of the problem surrounding Hero of the Storm’s meta is the fact that without items and a limited number of actives, the only depth Blizzard have to play with is in the introduction of new Heroes - which they’re already fulfilling - as well as heavy changes to talents or the arrival of new maps. While there are new maps coming, it has been many months since the last and changes to talents are few and far between. Although a selection of Heroes have received recent adjustments (none more-so than Tychus, Gazlowe and Arthas) it’s still a protracted process that takes far too long and results are often mixed (Arthas’ was undeniably good). Medivh: A brilliant Hero but with little meta impact. If there’s one thing the Heroes of the Storm community are good at, it’s knowing which Heroes are poor and which are excessive: best of all, they’re also great at presenting solutions. Unfortunately for said community Blizzard are sadly notoriously slow at providing updates to Heroes of the Storm and it can often be weeks between updates that, for the most part, deliver only the slightest of tweaks here and there. I’m not in anyway suggesting that Heroes of the Storm is dull because it's meta is largely static, but there’s no denying it could be a damn sight more interesting. Why continually shave Rehgar and his skills, when it would be so much more enjoyable for all to simply buff Support Heroes surrounding him? Or why not buff Heroes that have low win-rates at a pace quicker than once a year? You never know, it might enrage as much as it engages. Is that a bad thing?